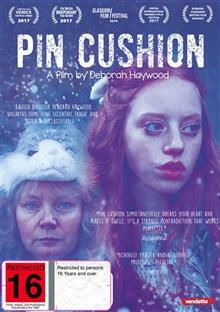 Eccentric mother-daughter duo, Lyn and Iona, move to a new town in the hope of finding a better life for themselves, Iona starts to drift away from her mother after befriending a trio of popular girls at school, while Lyn tries to find her own group of friends. With fragile perso... read full description below. Eccentric mother-daughter duo, Lyn and Iona, move to a new town in the hope of finding a better life for themselves, Iona starts to drift away from her mother after befriending a trio of popular girls at school, while Lyn tries to find her own group of friends. With fragile personalities they stumble their way through the harsh reality of bullies and frenemies, only to find themselves retreating more and more into the fantasy world they've built for themselves.